Growing up in California, Gilbert’s new mayor, Jenn Daniels, attended church each week in quite a special place: on the grounds of the Oakland Temple. “That was a great influence on me as a youth,” she recalls. Several wards, including Tongan, Samoan, Korean and Spanish-speaking congregations met there in a regional center. Sister Daniels loved being surrounded by the variety of cultures. At age 21, she married Eric Daniels of Mesa, knowing they’d live in Arizona, though “I would have followed him anywhere,” she says. Now in the Constellation Ward of the Highland West Stake, Daniels is happy to be raising her children in Gilbert, a community full of opportunity that shares her values. One of those values is education. The public school district has a 90% graduation rate. 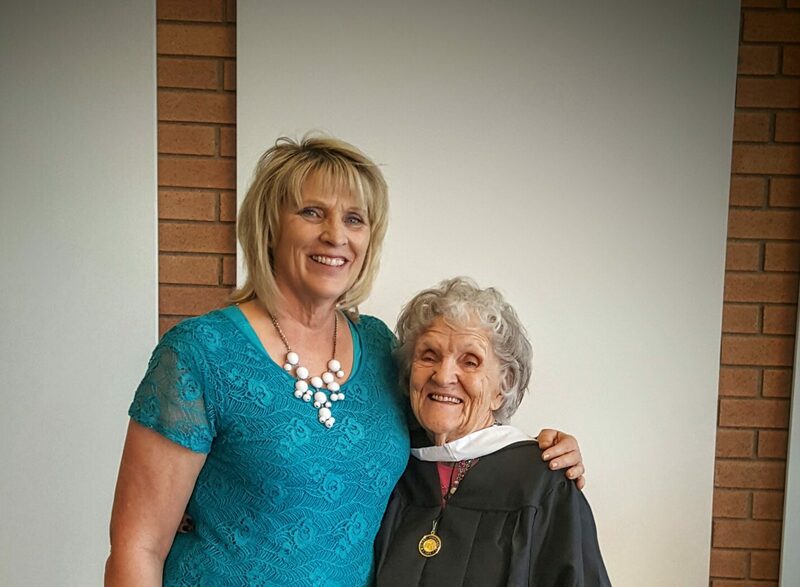 Determined to finish her own degree in Humanities at BYU, Daniels did so after she was married. Her four children are each limited to one activity outside of school and church programs to have time for studying. Their activities currently include singing with the Millennial Choirs & Orchestras, jujitsu, creative arts and tumbling. Daniels is often asked how she balances her responsibilities. “Balance is a total and complete fallacy,” she says, since it implies absolute perfection. “So I try to focus on being where my feet are. Wherever I am, I try to do something successfully.” She can’t wear her mayor’s hat, for instance, when helping a child with homework, but she recognizes when it’s time to have it on. Her drive for accomplishment and making a positive difference comes in part from the influence of her industrious parents. Her father was a talented tool and die maker. Her mother taught kindergarten and 1st grade and was always “anxiously engaged in a good cause.” Daniels was also inspired by the incredible women she worked with at United Families International, who expanded their sphere of influence through non-profit work. “When we stretch our personal capacity and are going about doing good, our Heavenly Father increases that capacity even more,” says Daniels. She adds that when surrounded by people opposing our principles, we ought to recall the prophet Elisha’s encouraging words: “[T]hey that be with us are more than they that be with them” (2nd Kings 6:16). She has served on the Gilbert Town Council since 2009. In the last five years, Gilbert has received many awards, including “2nd Safest City in the United States.” Their long list of accolades can be seen at www.gilbertaz.gov. After generations of competent leadership, Daniels feels privileged to now be mayor. She endeavors to stay connected to her constituents — aware of their challenges and their vision for improvements. She is focused on bringing people of different faiths and backgrounds together through their common values to strengthen faith groups, neighborhoods and education.